Overlooked by the scenic Rocky Mountains, Denver is one city in which residents never run short on entertainment. Whether one is looking for high style entertainment and dining, or simply to have fun on a budget, Denver is the place. Residents may dine on buffalo, rattlesnake, or Rocky Mountain Oysters, and may enjoy activities as varied as skiing, shopping, watching basketball games, and paleontology. Some of the highlights of Denver you'll want to visit time and again include the Denver Art Museun, Red Rocks, Zoo, Aquarium, Butterfly Pavilion, the 16th Street Mall, the Six Flags Elitch Gardens Theme Park, and the Buffalo Bill Museum and Grave. It began as the Denver Artists’ Club in 1893 and for decades had a nomadic existence. Nearly 120 years later, it showcases more than 70,000 works throughout a 350,000-foot permanent campus highlighted by a stunning, ultra-modern structure designed by Italy’s renown Gio Ponti. And “Becoming Van Gogh,” a world-exclusive exhibit, has cemented its global stature. The museum’s nine collections include American, African, Native American, Asian and European works, as well as pre-Columbian, Spanish Colonia, textile and, of course, Western American art. The museum also provides abundant educational programs, and features a special children’s art center. Insider’s tip: General admission is free on the first Saturday of each month. Arguably the best open-air concert venue in the world, this dramatic setting has hosted everyone from the Beatles to U2 to currently hot Mumford & Sons. Formed naturally from red sandstone outcroppings, it’s also a top destination for hiking and mountain biking, and yoga enthusiasts and other fitness fans use it to drink in the outdoors while working out. It’s most busy in the summer, with a full music line-up, as well as an outdoor movie series. Insider’s tip: Want a breathtaking setting for your wedding? 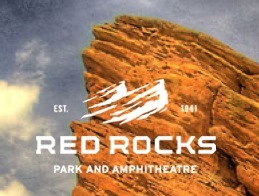 Book Red Rocks. Yes, this is where the wild things are – 4,000 of them. Giraffes, kangaroos, camels, rhinos, elephants, zebras, flamingos, gorillas, polar bears and more are here in special habitats, including Tropical Discovery, Predator Ridge, Primate Panorama, Northern Shores, Bear Mountain and the Dragons of Komodo exhibit. Founded in 1896, the zoo prides itself on its extensive preservation programs. Nearly 200 of its 700 species are considered threatened or endangered --- three are already extinct in the wild. Conservation is at the heart of the zoo’s mission, and the entire 80-acre campus regularly earns top honors for its sustainable practices. Insider’s tip: While the zoo participated in early efforts to save the iconic American bison from extinction, don’t expect to find any here. The only herd (about 40) now roams Genesee Park, just west of metro Denver. Dive into more than a million gallons of underwater exhibits at this aquatic extravaganza – literally. That’s right: You can snorkel amid sea creatures great and small. 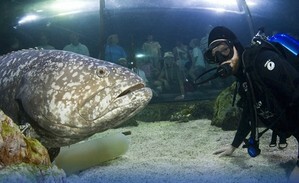 Or opt to view myriad marine life from outside the tanks. Catch the Mystic Mermaids show, a family-friendly performance with an eco-minded message. Or can dine, drink or party with more than15,000 exotic fish -- including a few sharks -- as the exotic backdrop (the aquarium features an upscale restaurant and lounge and often hosts birthday and other celebrations). Insider’s tip: Don’t miss the rare Sumatran swimming tigers. Did you know they have webbed paws? Neither did we! The Butterfly Pavilion, the first stand-alone non-profit insect zoo in the nation, is home to over 1,200 butterflies. Nature lovers can walk through the outdoor butterfly gardens, explore the nature trail, watch adult butterflies emerge from chrysalises, or explore the habitats of many other species of insects both rare and common. Both adults and children will love the new experience the Butterfly Pavilion provides to visitors. It is located just outside Denver, at 6252 W 104th Ave. Admission is $8.50 for adults, $6.50 for seniors, $6.50 for children (2-12) and free for kids under 2 years old. Denver's sprawling, sixteen-block mall, with shuttles that run from one end to the other, is the shopper's paradise. The mall has been nominated multiple years for "Best Shopping Area." It contains all the shops and food stops you would typically expect to find at a mall, with specialty features such as high end restaurants, day spas, and copy centers. You name it, it's there. The walkway that runs from one end of the mall to the other is a popular spot to walk or jog in the morning, but if you prefer not to walk from end to end of the mall, not only are the shuttles free of charge, it's also possible to get a ride in a horse-drawn carriage to the destination of your choice. For those who enjoy roller coasters, this theme park, located in downtown Denver, provides a unique experience for park-goers to enjoy the view of the city from the peak of a roller coaster. Another famous lookout spot in the park is the top of the Total Tower, which provides a great view in every direction. Along with great scenery and plenty of rides, this Six Flags features a tropical water park, free with admission to the park. One adult day pass costs $37.99, day passes for individuals 4" or shorter (restricted use) cost $21.99, and children age 3 and under have free admission. A more economical option is the season pass; one season pass costs only $49.99. If you're a Wild West buff, Denver has plenty to offer. Along with being the home to the filming of Indiana Jones and the Last Crusade, and having a Western History section in the expansive public library, Denver is home to the grave of "Buffalo" Bill Cody, legendary mountain man, along with a nearby Buffalo Bill museum. Only 30 minutes from downtown Denver, the grave and museum are located among wildlife and Ponderosa Pines on Lookout Mountain, which, with its great view of Denver, is aptly named. Touring the museum is an inexpensive activity, prices stand at $3 for adults, $2 for seniors, $1 for children under age 15, and free for children under age 6. Few metro areas offer such a wide assortment of museums, parks, activities, bars, and unique dining experiences. We've only mentioned a few of them here. Some of the other most notable attractions include the Colorado History Museum, Water World, and professional sports teams such as the Denver Broncos and Denver Nuggets. If you're moving to Denver any time soon, be forewarned that it may take a lifetime to experience all the city has to offer.